Spark Networks (LOV) announced its entry into a definitive agreement to acquire Zoosk. The combination will drive a meaningful increase in Spark’s scale, with over one million monthly paying subscribers across the two platforms. Spark expects the transaction to drive meaningful margin expansion in 2020 and beyond. “Zoosk is one of the strongest dating apps in the North American market, which comprises half of the $5B global online dating opportunity,” said Jeronimo Folgueira, Chief Executive Officer of Spark Networks SE. “Similarly, North America has been a key strategic market for Spark, and the focal point for our growth initiatives. Our deal with Zoosk creates the second largest online dating platform in North America and the second largest publicly-listed dating company in the world. Over the past 18 months, our management team has successfully integrated acquisitions and developed new brands. As a result of these efforts, our brand portfolio now includes SilverSingles, which continues to exceed our expectations, and the Christian Mingle, Jdate and JSwipe brands, which have all shown significant improvement since they were acquired in late 2017. With the addition of Zoosk, Spark will more than double in size and the combined business will be considerably more valuable than the two stand-alone entities: Following the completion of its integration plans, Spark expects to drive significant Adjusted EBITDA margin expansion. In 2020, Spark expects Adjusted EBITDA to exceed $50M. Under the terms of the agreement, Spark will acquire 100% of Zoosk’s shares with a combination of cash and stock valuing the company at approximately $255M based on the closing price of Spark Networks SE stock on March 20. Spark will issue 12.98M American Depository Shares valued at approximately $150M based on the closing price of Spark Networks SE stock of $11.53 on March 20. Additionally, Zoosk shareholders will receive net cash consideration of $95M at closing and $10M via a deferred cash payment in December 2020, which will be funded through a new $120M senior secured debt facility. The transaction is expected to close early in the third quarter of 2019. Shares of Tesla (TSLA) are on the rise after the company reported third quarter results, with a net profit of $312M, the electric-vehicle maker’s largest ever. Last night, Tesla reported third quarter adjusted earnings per share of $2.90 and revenue of $6.82B, both above consensus of (19c) and $6.3B, respectively. The company said that, “Model 3 quarterly production and deliveries should continue to increase in the fourth quarter compared to the third quarter. Our target of delivering 100,000 Model S and X vehicles this year remains unchanged. We expect gross margin for Model 3 to remain stable in the fourth quarter as manufacturing efficiencies and fixed cost absorption offset a slightly lower trim mix and the negative impact of tariffs from Chinese sourced components. For all three vehicles, additional tariffs in the fourth quarter on parts sourced from China will impact our gross profit negatively by roughly $50M […] The third quarter of 2018 was a truly historic quarter for Tesla. Model 3 was the best-selling car in the U.S. in terms of revenue and the 5th best-selling car in terms of volume. In a post-earnings research note, Wolfe Research’s Galves upgraded Tesla to Outperform from Peer Perform, with a $410 price target. Saying that “Tesla became a real company,” the analyst argued that third quarter non-GAAP earnings of $2.90 and free cash flow of $881M are proof that Tesla’s earnings power is likely to outperform traditional automakers. Management’s focus on cost and capital efficiency boosted Galves’ confidence that priorities have changed from unit growth at all cost to profitable growth and self-funding. Further, the analyst argued that demand and margin outlook appear “very positive” and the fact that 50% of trade-ins on the Model 3 are non-luxury vehicles indicates the buyer base is likely bigger than expected. Also bullish on the stock, Piper Jaffray analyst Alexander Potter raised his price target for Tesla to $396 from $389 as he believes the company reported a “milestone quarter,” with margins, earnings, and cash flow easily beating expectations. While there is a still a lot of “hair” on the company, bears will struggle to poke holes in the results, Potter contended, adding that Tesla appears increasingly likely to achieve financial self-sufficiency. The analyst reiterated an Overweight rating on Tesla shares. Oppenheimer, JMP Securities, and RBC Capital also raised their price targets on the stock. The analyst continues to expect Model 3 average selling prices to decline into fourth quarter and 2019 as Tesla begins delivering the new $46,000 mid-range model. Voicing a similar opinion, Needham analyst Rajvindra Gill told investors that while Tesla posted its first quarterly profit and positive free cash flow in over two years thanks to higher-margin Model 3 sales, he remains concerned over margin in the first half of 2019 given an “unfavorable mix shift of Model 3s, decline in ZEV sales, service margins stay in -35%-40% and pricing pressure on Model S/X.” Gill also questions the speed and profitability of Tesla’s production of a $45K car, “not to mention the $35K version”, in order to match its backlog of orders. The analyst reiterated an Underperform rating on the shares. In Thursday’s trading, shares of Tesla have gained about 5% to $302.46. Aqua America (WTR) announced it will acquire Peoples in an all-cash transaction that reflects an enterprise value of $4.275B, which includes the assumption of approximately $1.3B of debt. This acquisition marks the creation of a new infrastructure company that will be uniquely positioned to have a powerful impact on improving the nation’s infrastructure reliability, quality of life and economic prosperity. 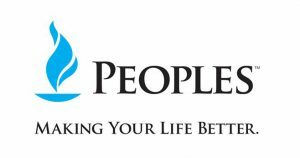 Peoples consists of Peoples Natural Gas Company LLC, Peoples Gas Company LLC and Delta Natural Gas Company Inc. The multi-platform entity brings together the second-largest U.S. water utility and fifth-largest U.S. stand-alone natural gas local distribution company and will serve 1.74 million customer connections, which represent approximately 5 million people. In 2019, the new company will have approximately $10.8 billion in assets and a projected U.S. regulated rate base of over $7.2 billion. The transaction is not expected to have any impact on rates. The combined enterprise will be among the largest publicly traded water utilities and natural gas local distribution companies in the U.S., uniquely positioned to meaningfully contribute to the nation’s natural gas and water infrastructure reliability. The transaction will bring together two companies that each have more than 130 years of service and proven track records of operational efficiency, complementary service territories and strong regulatory compliance. Aqua will acquire Peoples from infrastructure funds managed by Sausalito, California-based SteelRiver Infrastructure Partners. The resulting company will be well positioned to grow and generate shareholder value through increased scale, a balanced portfolio and stable capital structure. Amarin (AMRN) announced topline results from the Vascepa cardiovascular outcomes trial, REDUCE-IT, a global study of 8,179 statin-treated adults with elevated CV risk. REDUCE-IT met its primary endpoint demonstrating an approximately 25% relative risk reduction, to a high degree of statistical significance, in major adverse CV events in the intent-to-treat patient population with use of Vascepa 4 grams/day as compared to placebo, Amarin said in a statement. Patients enrolled in REDUCE-IT had LDL-C between 41-100 mg/dL controlled by statin therapy and various cardiovascular risk factors including persistent elevated triglycerides between 150-499 mg/dL and either established cardiovascular disease or diabetes mellitus and at least one other CV risk factor. Key topline results include approximately 25% relative risk reduction, demonstrated to a high degree of statistical significance, in the primary endpoint composite of the first occurrence of MACE, including cardiovascular death, nonfatal myocardial infarction, nonfatal stroke, coronary revascularization, or unstable angina requiring hospitalization. This result was supported by robust demonstrations of efficacy across multiple secondary endpoints, the company said. It added that Vascepa was well tolerated with a safety profile consistent with clinical experience associated with omega-3 fatty acids and current FDA-approved labeling. The proportions of patients experiencing adverse events and serious adverse events in REDUCE-IT were similar between the active and placebo treatment groups. REDUCE-IT results have been accepted for presentation at the 2018 Scientific Sessions of the American Heart Association on November 10, 2018 in Chicago, Illinois. “We are delighted with these topline study results,” said John Thero, president and CEO of Amarin. Shares of Amarin (AMRN) closed at $2.99, it last traded at $12.30. 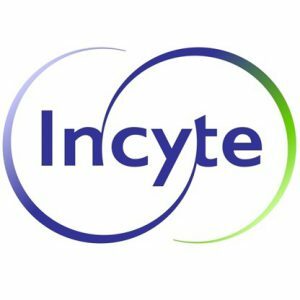 Incyte Corporation (INCY) announced positive results from its randomized, dose-ranging, vehicle- and active-controlled Phase 2b study evaluating ruxolitinib cream in patients with atopic dermatitis who are candidates for topical therapy. The study, part of the True-AD clinical trial program, met its primary endpoint, demonstrating that ruxolitinib cream 1.5% administered twice daily significantly improved Eczema Area and Severity Index scores – a measurement of the extent and severity of AD – from baseline versus vehicle control at Week 4. Additionally, treatment with ruxolitinib cream 1.5% BID resulted in a rapid and sustained reduction in itch versus vehicle, a key secondary endpoint. These results were shared in an oral presentation today at the 27th European Academy of Dermatology and Venerology Congress in Paris, France. Key study results included: Significantly improved EASI score in the ruxolitinib cream 1.5% BID arm versus vehicle at Week 4, the primary endpoint, and improvement in EASI score versus the active control, triamcinolone 0.1% cream, at Week 4, a secondary endpoint. Significantly improved EASI scores in the ruxolitinib cream 1.5% BID arm versus vehicle at Weeks 2 and 8. Significantly greater changes in EASI score in the once daily ruxolitinib cream 1.5% and 0.5% arms versus vehicle at Week 4. Significantly more Investigator’s Global Assessment responders – a measure of disease severity – in the ruxolitinib cream 1.5% BID arm versus vehicle at Week 4, and greater IGA response rates across other ruxolitinib arms versus vehicle. Rapid and sustained reductions in itch numerical rating scale score observed as early as within two days from the initiation of therapy, and a more pronounced reduction in itch with ruxolitinib cream 1.5% BID and QD than with triamcinolone cream 0.1% BID. Ruxolitinib cream was well-tolerated at all dosage strengths and was not associated with clinically-significant application site reactions. All treatment-related adverse events were Grade 1 or Grade 2 in severity. Ruxolitinib cream is the first JAK1/JAK2 inhibitor to exhibit positive results as a topical monotherapy in the AD patient population. Over-activity of the JAK signaling pathway has been shown to drive inflammation involved in the pathogenesis of AD. These data support the planned initiation of a global, pivotal Phase 3 program, for which preparations are already underway. Shares of Yum China (YUMC) are on the rise following a media report saying the company has rejected a buyout offer of $46 per share made by a consortium led by Hillhouse Capital. Earlier this month, Bloomberg had reported that China’s sovereign wealth fund, China Investment Corp., was part of the consortium bidding to take Yum China private. Yum China has rejected a private buyout offer from a consortium of investors that valued the company at over $17B, according to The Wall Street Journal, citing a person familiar with the matter. An investor group led by Hillhouse Capital Group in recent months offered to take the restaurant operator private at $46 per share, but the all-cash offer was turned down by the company’s board in recent weeks, source told the publication. Last month, The Information had reported that Hillhouse Capital was in talks to acquire Yum China. The company operates over 8,000 KFC and Pizza Hut restaurants across mainland China. A takeover led by Hillhouse would assist the company in accelerating its efforts to implement high-tech initiatives in its brick-and-mortar stores in order to attract Chinese millennials, the report pointed out. Earlier this month, Bloomberg reported that China’s sovereign wealth fund, China Investment Corp., was part of the consortium bidding to take Yum China private. 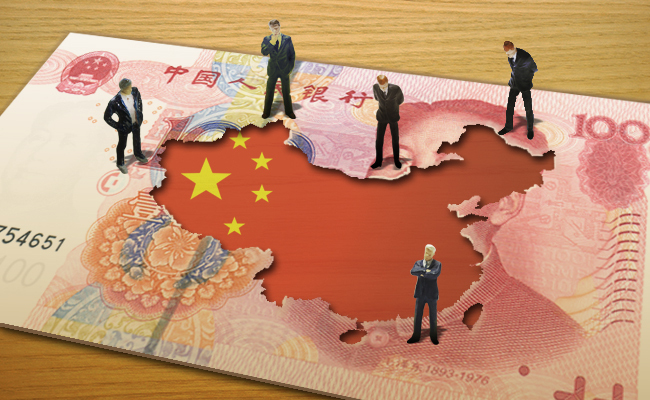 The sovereign fund and DCP Capital, an investment fund run by former KKR (KKR) executives, are considering a buyout of Yum China, which runs KFC and Pizza Hut outlets, along with Hillhouse Capital, the publication added. 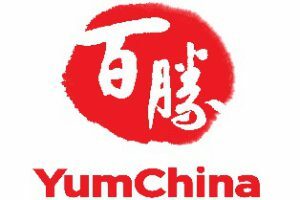 Yum China spun off from Yum! Brands (YUM) in 2016. In tuesday’s trading, shares of Yum China trading in New York are off their earlier highs, but are trading up 3.8% to $37.14. Shares of Tesla (TSLA) jumped yesterday after CEO Elon Musk said he would like to see the company go private, but have since stepped into negative territory as analysts debate the idea. While Jefferies analyst Philippe Houchois believes going private “feels like the right thing to do,” his peer at Morgan Stanley questions the feasibility of Musk actually being able to achieve that goal. Yesterday, Tesla CEO Elon Musk tweeted that he is considering taking the electric carmaker private. Meanwhile, members of Tesla’s board said on Wednesday that they have “met several times over the last week” and are “taking the appropriate next steps to evaluate” Musk’s desire to take the company private. Their talks with Musk, which started last week, included “discussions as to how being private could better serve Tesla’s long-term interests, and also addressed the funding for this to occur,” the board members stated in a press release. Commenting on the news, Jefferies’ Houchois told investors in a research note that the move “feels right” even if Musk is downplaying how supportive public markets have been. With Tesla unable to take on more debt, the analyst wonders who may fund the potential deal and end up as a new large shareholder. While the second quarter de-stressed the near-term outlook, Houchois pointed out that Tesla did not reassure about sustained demand for Model 3 at high prices and that profitability can support organic funding of investments in future products and manufacturing capacity. He continues to think Tesla will need additional capital to fund these or risk being caught with a narrow and ageing product range within 2 years. Noting that his discounted cash flow fair value points to $300 per share, the analyst raised his price target on the stock to $360 from $250, “bridging the gap” to the $420 potential going private bid. The analyst reiterated a Hold rating on Tesla. While Morgan Stanley analyst Adam Jonas sympathizes with Elon Musk’s argument that Tesla could be better off as a private company, he questions the feasibility of the CEO actually being able to achieve that goal. The benefits of being private are outweighed by the risks of added financial leverage, which could be even more strategically limiting, added Jonas, who reiterated an Equal Weight rating and a $291 price target on Tesla shares. Meanwhile, his peer at JPMorgan raised his price target for Tesla to $308 from $195 to reflect the possibility of the company going private. However, analyst Ryan Brinkman told investors that he still believes that Tesla’s valuation based on fundamentals alone “is worth no more than $195” per share. The analyst added that he is not as certain as CEO Elon Musk on Tesla going private, and assigns only a 50% probability to such a scenario, while reiterating an Underweight rating on the shares. In Wednesday afternoon trading, shares of Tesla have dropped 1.6% to $373.63. 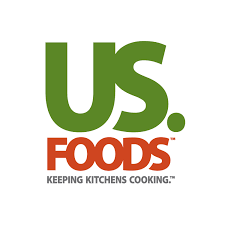 US Foods (USFD) and Services Group of America announced that they have entered into a definitive agreement under which US Foods will acquire five operating companies collectively known as SGA’s Food Group of Companies, for $1.8B in cash. The transaction has been unanimously approved by US Foods’ Board of Directors. Headquartered in Scottsdale, Arizona, SGA’s Food Group of Companies has combined 2017 net sales of $3.2B and approximately 3,400 employees. SGA’s Food Group of Companies currently operates as five separate operating companies. 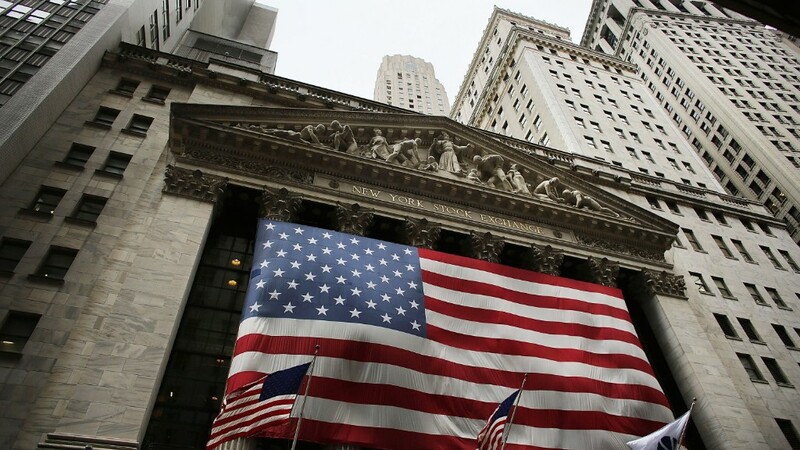 US Foods will finance the acquisition primarily with $1.5B in fully committed term loan financing from J.P. Morgan and Bank of America Merrill Lynch and will fund the balance of the purchase price through its existing liquidity resources. At the closing of the acquisition, US Foods’ pro forma net leverage is expected to be 4.1x. Given the combined company’s strong cash flow generation, including synergies, US Foods expects to reduce net leverage to approximately 3.0x by the end of fiscal 2020. The acquisition is subject to regulatory approval and other customary closing conditions. US Foods expects to achieve approximately $55M in annual run-rate cost synergies by the end of fiscal 2022, primarily driven by savings in distribution, procurement and administrative expenses. The purchase price reflects a multiple of 12.5x SGA’s Food Group of Companies 2018E Adjusted EBITDA of $123 million, after taking into account the approximately $260 million estimated present value of cash tax benefits to be realized as a result of the acquisition. Including $55M in annual run-rate synergies, the price reflects a 2018E Adjusted EBITDA multiple of 8.6x. Excluding amortization, the transaction is expected to become accretive to US Foods’ Adjusted EPS in the second full year following closing. Apollo Global (APO) is in advanced talks to buy LifePoint Health (LPNT), two people familiar with the matter told Reuters on Friday. The deal could value LifePoint at nearly $6B, including debt, the sources said, adding that Apollo plans to combine LifePoint with RegionalCare Hospital Partners, another regional hospital operator that it owns. 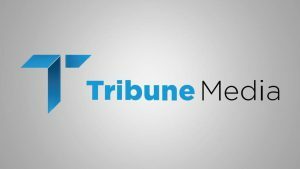 If the negotiations are completed successfully, a deal could be announced as early as next week, the sources said, cautioning that it was possible talks could fail at the last minute. The sources asked not to be identified because the matter is confidential. Rural healthcare providers such as LifePoint have been challenged in recent years because their reliance on federal insurers such as Medicare and Medicaid has made them particularly vulnerable to changing reimbursement programs. In addition, hospital operating costs have been rising faster than reimbursement rate increases. Apollo, which raised a $24.6 billion private equity fund last year, acquired RegionalCare in 2015, and merged it with another hospital operator, Capella Healthcare, in 2016. 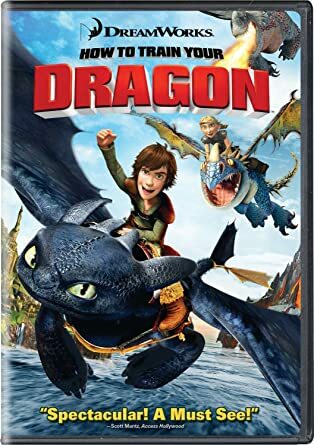 It would be by far the biggest acquisition for Apollo this year. 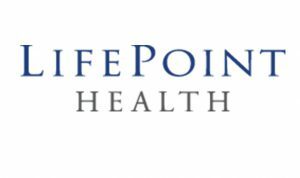 LifePoint currently has a market capitalization of $1.9 billion and long-term net debt of $2.9 billion. Zogenix (ZGNX) reported positive top-line results from its second confirmatory Phase 3 study for its investigational drug, ZX008, for the treatment of children and young adults with Dravet syndrome. Dravet syndrome is a rare, catastrophic, lifelong form of epilepsy that begins in the first year of life with frequent and/or prolonged seizures. Previously known as Severe Myoclonic Epilepsy of Infancy (SMEI), it affects one out of 15,700 individuals, 80% of whom have a mutation in their SCN1A gene. The study results, which are consistent with those reported in Study 1, Zogenix’s first pivotal Phase 3 study, successfully met the primary endpoint and all key secondary endpoints, demonstrating that ZX008, at a dose of 0.5 mg/kg/day, is superior to placebo when added to a stiripentol regimen. Key Findings: Patients taking ZX008 achieved a 54.7% greater reduction in mean monthly convulsive seizures compared to placebo. The median reduction in monthly convulsive seizure frequency was 62.7% in the ZX008 group compared to 1.2% in placebo patients. ZX008 also demonstrated statistically significant improvement versus placebo in both key secondary measures, including patients with clinically meaningful reductions in seizure frequency and longest seizure-free interval. ZX008 was generally well-tolerated in this study with the adverse events consistent with those observed in Study 1 and the known safety profile of fenfluramine. No patient exhibited cardiac valvulopathy or pulmonary hypertension at any time in the study. Secondary endpoints assessed ZX008 compared to placebo in terms of the proportions of patients who achieved greater than or equal to 50% reductions and greater than or equal to 75% reductions in monthly convulsive seizures, as well as the median of the longest convulsive seizure-free interval. ZX008 was generally well-tolerated in this study, with the adverse events consistent with those observed in Study 1 and the known safety profile of fenfluramine. The incidence of treatment emergent adverse events was similar in both the treatment and placebo groups, with 97.7% of patients receiving ZX008 experiencing at least one treatment emergent adverse event compared to 95.5% of patients in the placebo group. The most common adverse events in the ZX008 group were decreased appetite, diarrhea, pyrexia, fatigue, and nasopharyngitis. wo patients in the ZX008 group had an adverse event leading to study discontinuation compared to one in the placebo group. ZGNX closed at $46.30, it last traded at $55.30. 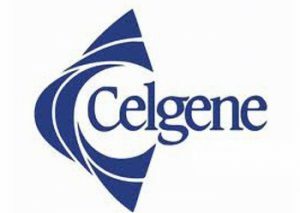 Celgene (CELG) announced that the Phase III IMpassion130 study met its co-primary endpoint of progression-free survival, or PFS. This is the first phase III study to demonstrate a statistically significant PFS improvement in first-line metastatic or unresectable locally advanced triple negative breast cancer, or TNBC, a type of breast cancer with high unmet need. Results demonstrated that the investigational combination of Tecentriq plus Abraxane compared to Abraxane monotherapy, as an initial treatment, significantly reduced the risk of disease worsening or death in patients with metastatic or unresectable locally advanced TNBC in the intention-to-treat and PD-L1 positive populations. Overall survival is encouraging in the PD-L1 positive population at this interim analysis, and follow up will continue until the next planned analysis. Safety in the Tecentriq plus Abraxane arm appeared consistent with the known safety profiles of the individual medicines, and no new safety signals were identified with the combination. are not candidates for curative surgery or radiation therapy. you have tried chemotherapy that contains platinum, and it did not work or is no longer working.